As I stepped out of the restaurant, a cute little delivery bike in the parking lot caught my attention. 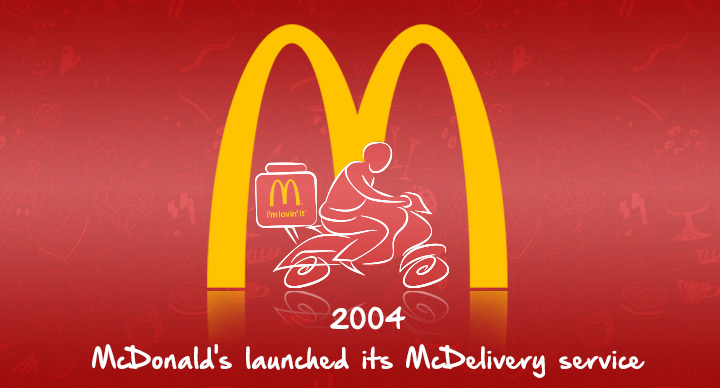 The words ‘McDelivery’ written in bold looked absolutely delightful. With the onset of winters, a home delivered McAloo tikki burger and Pizza McPuff clubbed with hot cocoa was out of the world. Life was hectic for me during the next few months as I got another project in Mumbai. 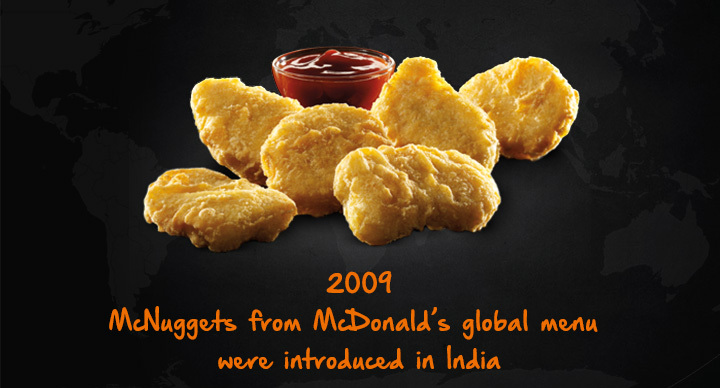 As I was a regular customer at McDonald’s, I received regular updates from them. 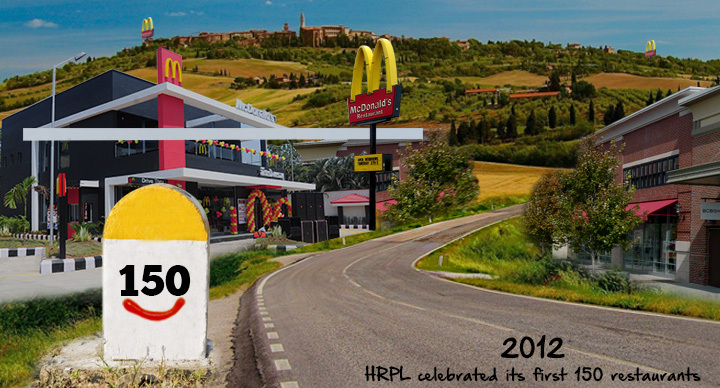 And it was great to hear that HRPL celebrated its first 50 McDonald’s restaurants. 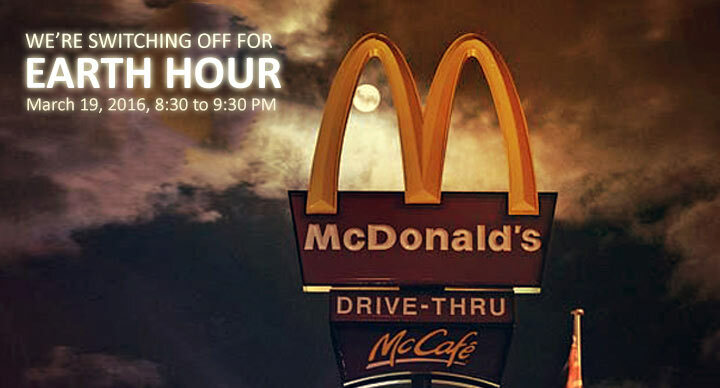 Rustom and I celebrated over another of our favorite McChicken Burger meal. It was almost time for Diwali, the festival of lights. This year, my family planned a trip to Bangalore to meet our uncle. We took Rustom along too and made our way for the epic festive celebrations. 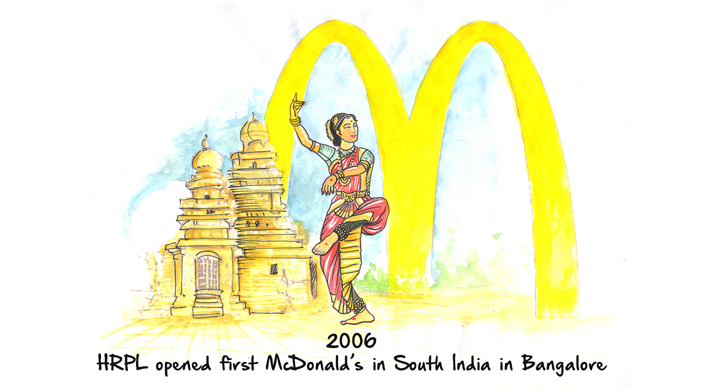 Bangalore had been booming with fast food restaurants of all kinds. One day after shopping, we decided to eat out and my cousin pointed at the familiar bright golden arches. Hooray! Here we were, at our happy place. 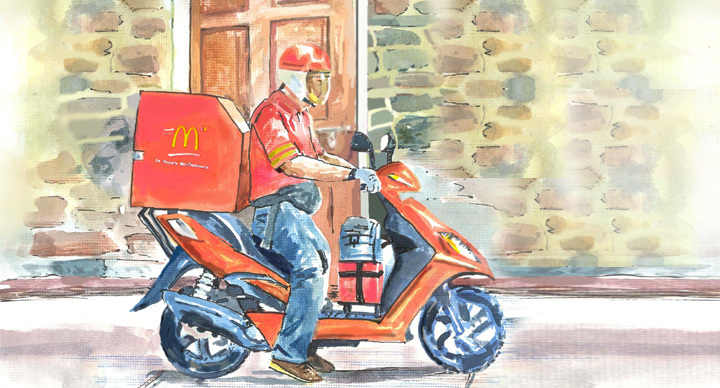 Ordering food online became a routine activity for us. A quick bite of grilled chicken wrap after a day’s work of Diwali cleaning would cheer us up. 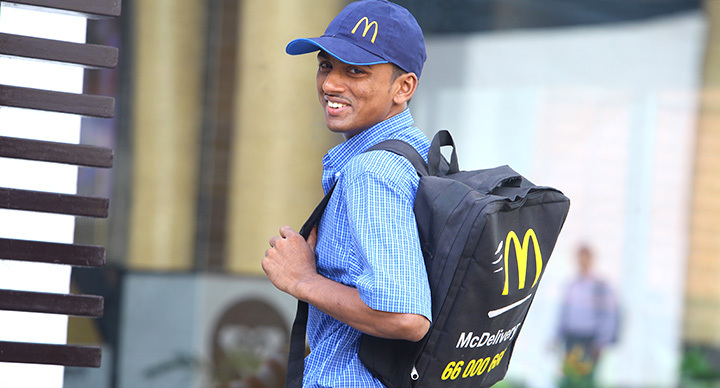 It was on one of those food delivery visits when Shankar, our regular McDelivery guy suggested we try their newest range – Chicken McNuggets. And boy, were we delighted! 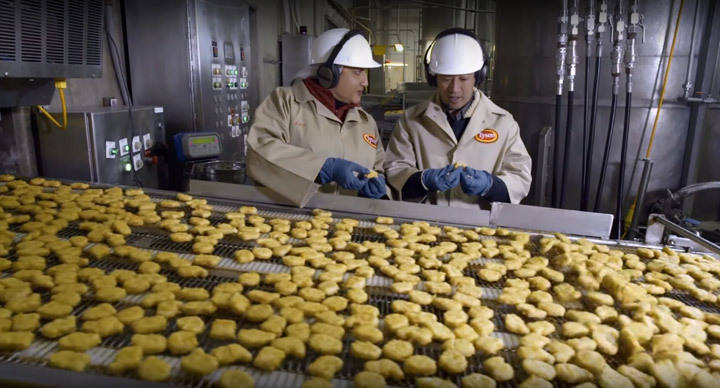 Those tender juicy chicken pieces in a crisp tempura coating, with choices of dipping sauces – barbeque, mustard or sweet ’n sour, were heavenly! Diwali came to an end and so did our trip to Bangalore. 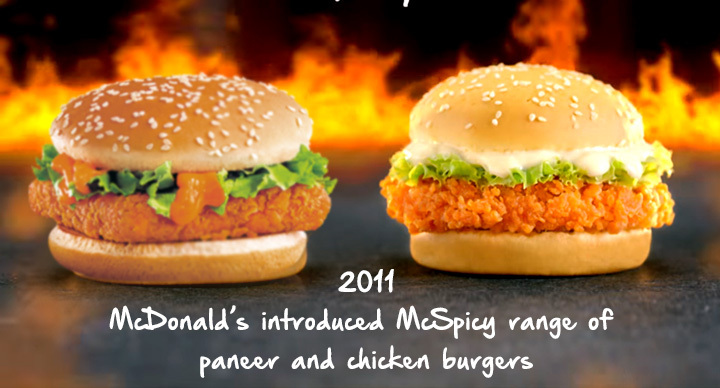 Upon arriving back to Mumbai, we noticed banners of McDonald’s everywhere with their McSpicy range of paneer and chicken burgers. 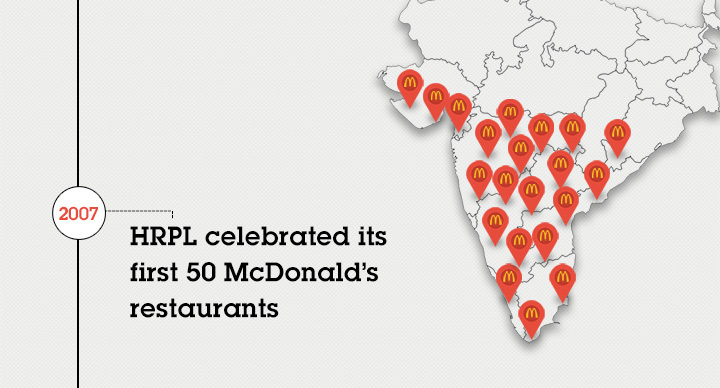 Not only that, they reached another milestone of 150 restaurants in India. 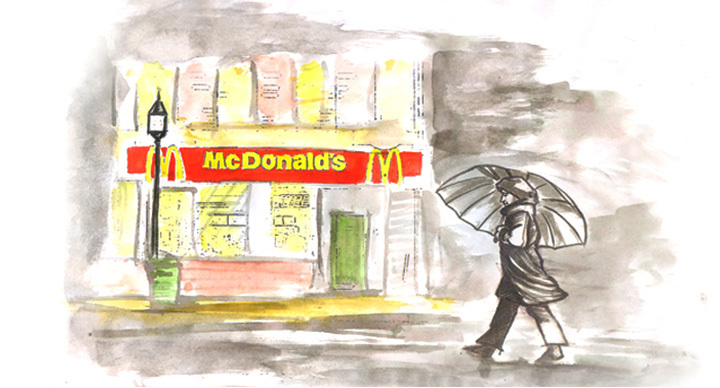 With so many choices, and easy access, my fondness for McDonald’s only grew with time. For the next two years, I undertook different projects, helping underprivileged children in Mumbai slums reach their potential. I often took Rustam along with me to meet the kids over the weekends and we played cricket. 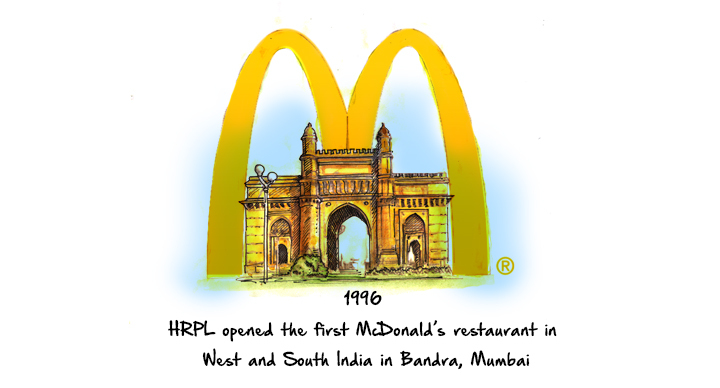 After one of those matches, Rustom and I were heading for home when we saw the new McCafe in Tardeo, Mumbai. Needless to say, I needed some caffeine. We ordered an iced mocha and muffins to go. Time flew by fast and from one project to another, my work with underprivileged children went well. After getting a promotion, my workload increased. On busy days, I hardly had time to order any lunch. But 2014 was a year in which there was an app for almost everything. 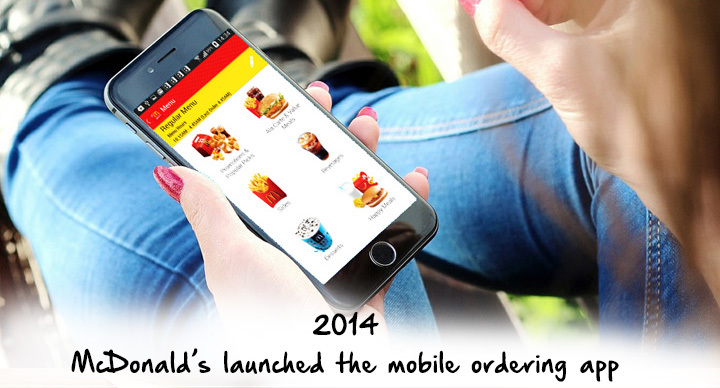 No prizes for guessing that the first app that I downloaded (after the chatting app) was the McDonald’s app. 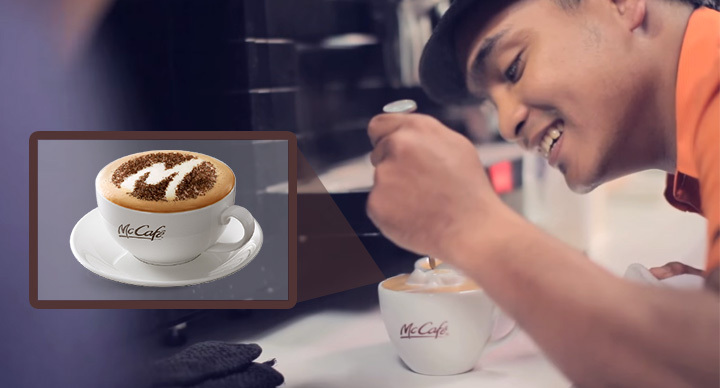 Ever since, yummy food has been just two clicks away. Who Loves Candle Light Dinners?